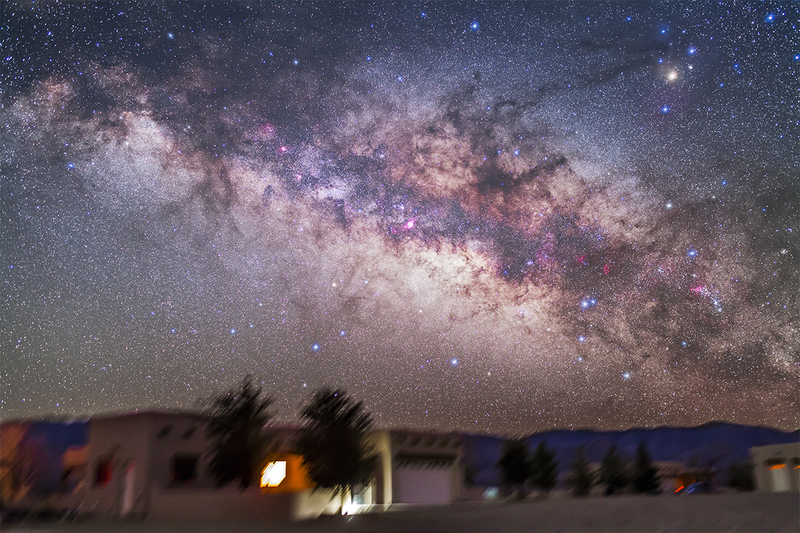 What an amazing area of sky – the centre of the Galaxy hovering over the Earth below. This was the scene two mornings ago, on our last clear night in New Mexico. This is what’s in the morning sky now and in the evening sky later in July and August. This is the area around Scorpius and Sagittarius and their rich star clouds toward the centre of the Milky Way. It looks like a scene from an alien planet. But it’s here on Earth, gazing thousands of lights years toward the galactic core.